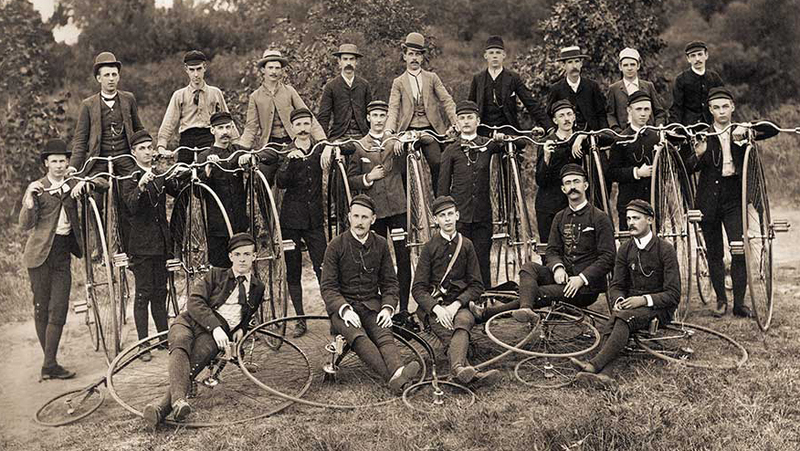 This group of cyclists was photographed in the 1880s and shows a fine party from a chapter of the League of American Wheelmen. 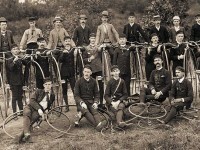 Note there’s a new-fangled Safety bicycle underneath one of the riders on the ground. And check out the fella fourth from the left in the middle row. Now, I could be making a horrible historical mistake but does that fella look feminine to you? There is a difference between ‘looking feminine’ and being a woman though, of course. Oh, I agree. I can’t imagine it is a woman. 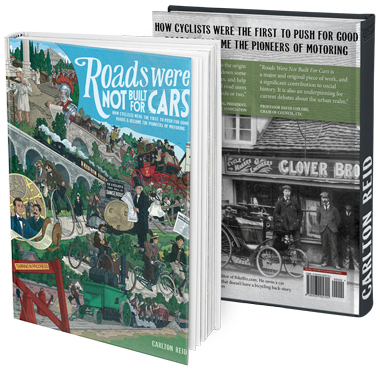 No need, really. 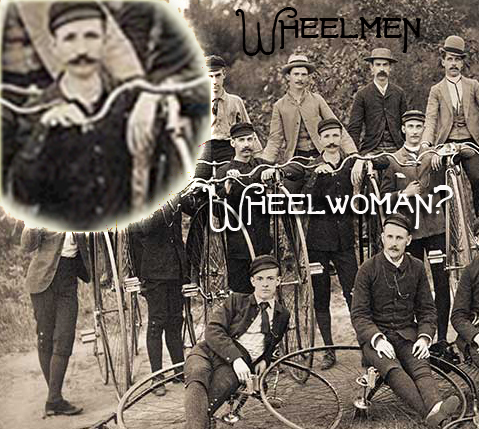 Women were allowed as members of the League of American Wheelmen. But there’s a long history of women masquerading as men in the navy and so forth. The ‘tache looks so fake but, with waxing, it would do.